I was incredibly excited to hear that Lemire and Sorrentino were reuniting for work on a completely original series–and my wait was not in vain. Indeed, this is the first series ever I have gone out of my way to read in single issues, and having read #1, I feel I made the right choice. In “Gideon Falls” Lemire introduces us to the story of two men, both weary and searching for something more, both struggling with the realities of their lives–and somehow, both connected to a dark threat that hangs just out of sight. Opening with the inverted image of a man rifling through a pile of garbage, Lemire and Sorrentino immediately set the tone of the story–proving yet again their mastery of the medium. Employing art, text, and silence, each page conveys a quiet menace that both unsettles and draws the reader deeper in. 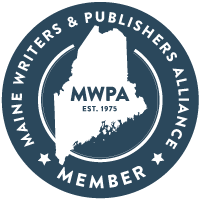 The narrative unfolds in uncertain threads of quiet disrupted by occasional moments of horror, carried by the desperation of the two men at the center of the events. Lemire brings the reader alongside these characters to feel their struggles and see the world as they do. Sorrentino’s art is the perfect accompaniment, simultaneously conveying the gritty, detailed world and the wild uncertainty surrounding and even invading these characters’ lives. Completing the effect, Stewart’s reserved colors, and the input of the rest of the creative team work in perfect unity to create the comic’s final effect. 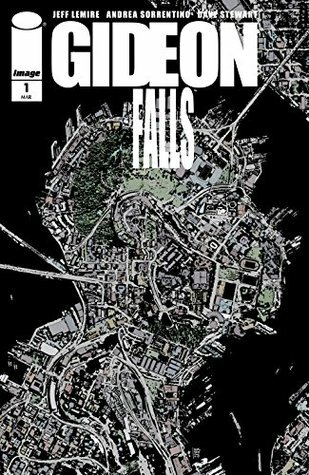 Faith and illness, certainty and doubt, the natural and the supernatural, truth and fantasy–“Gideon Falls” blurs the lines in creation of a gripping horror-mystery that displays some of the greatest creators in comics at the top of their form. Issue 1 is a bold start to a new series, and I await the next chapter with great expectation.